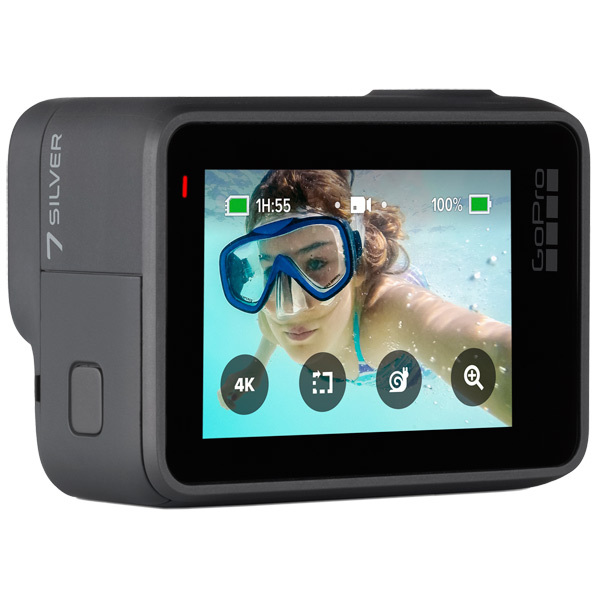 NEW YORK - B&H is happy to announce one of the biggest pieces of news in action camera history. 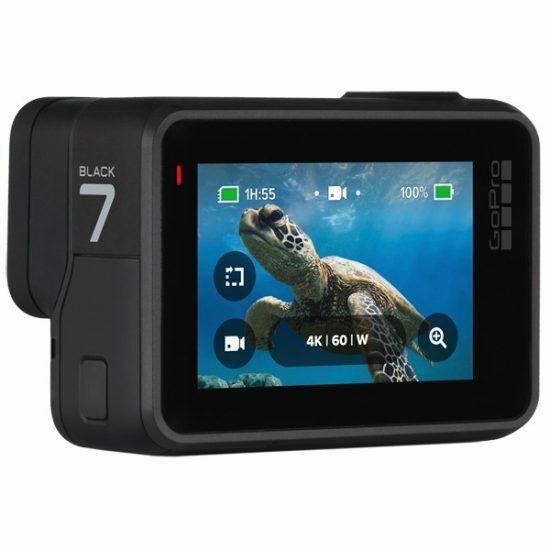 GoPro has revealed its new HERO7 lineup, featuring three cameras—the HERO7 Black, HERO7 Silver, and HERO7 White. They’re different not only in color, but also function, for users from the most professional to the everyday adventurer. The above are the main differences in terms of image and audio quality. But there are also many other features that these three advanced actions cameras share and many that only the HERO7 Black has. All three cameras are waterproof down to 33 feet as they come, without a housing (a dive housing is available for the HERO7 Black). 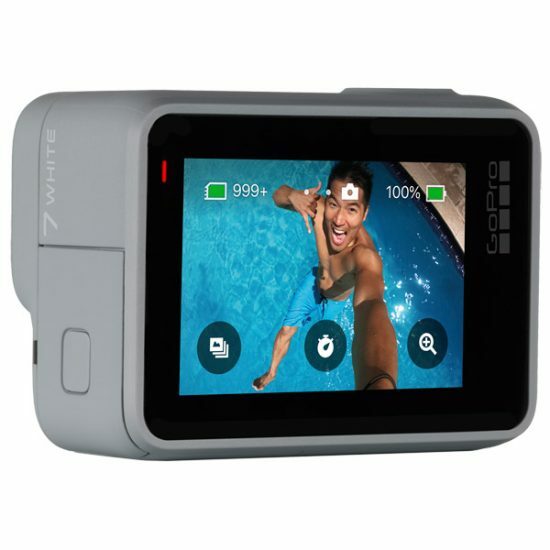 All three have a 2" touchscreen with an intelligent feature called Touch Zoom that helps you frame your shots by touch. 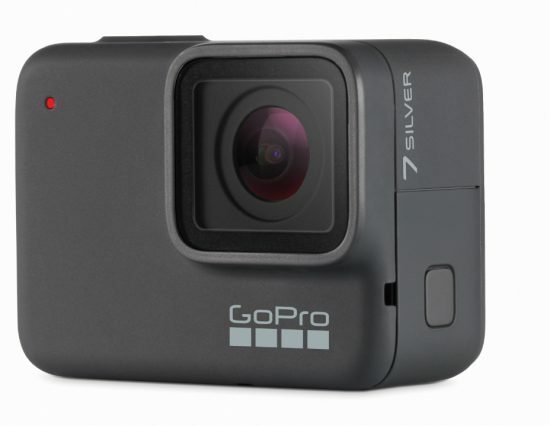 All three have the famed GoPro Voice Control, which allows you to talk to the camera with commands like, “GoPro, start recording.” All three shoot time-lapse video. All three have the QuikStories feature, which automatically transforms your footage into a fun video with music and effects, ready for sharing. Other than these, the HERO7 Black is loaded with many features that one would be hard-pressed to find anywhere else. A big one is live streaming. Another big one is Protune, which lets you access and manually adjust various professional settings, such as white balance and ISO limit, to give you optimal control over your image and achieve highly enhanced results. 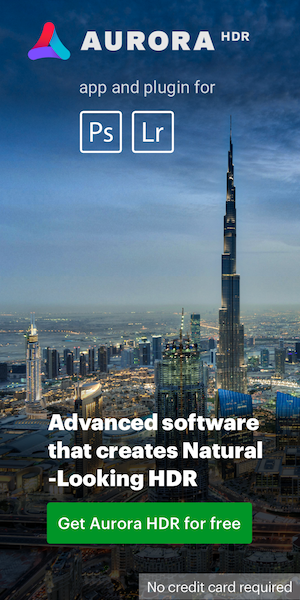 Others include TimeWarp video, advanced metadata, and SuperPhoto, which optimizes your photos with HDR, local tone mapping, and noise reduction.